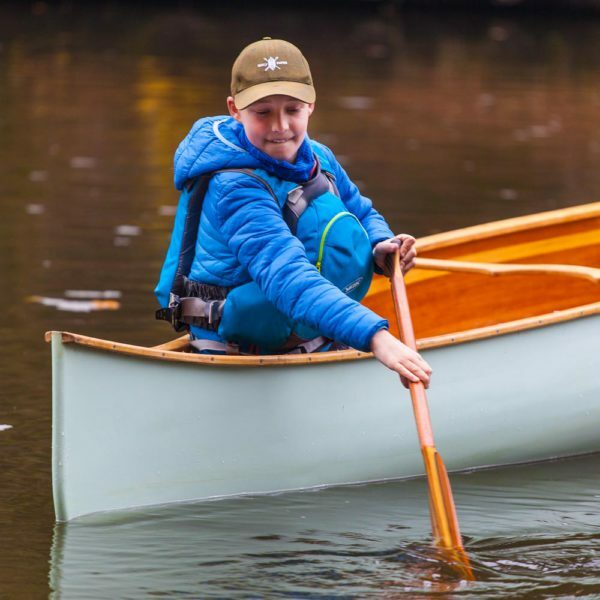 Freeranger Canoe builds wooden canoes that combine traditional designs en materials with modern epoxy composite technology. 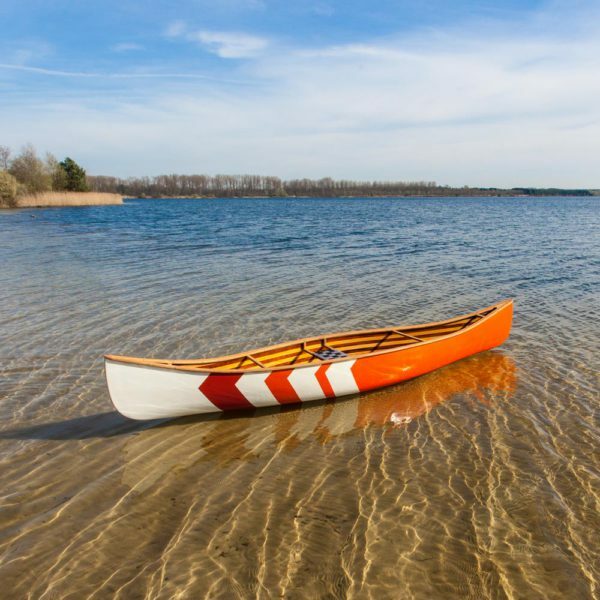 Our durable wooden canoes are strong and light. They have excellent paddling properties. 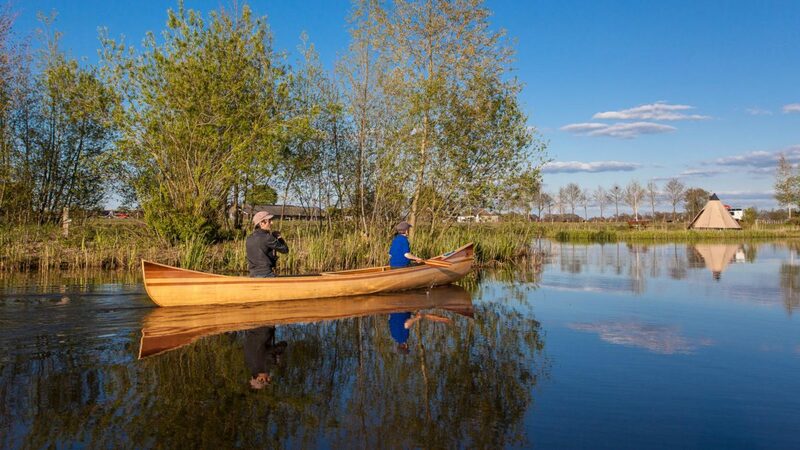 A wooden canoe is a heirloom to be passed down to your children and grandchildren. The elegant lines and the glow of the wood give them an exceptional, timeless beauty. 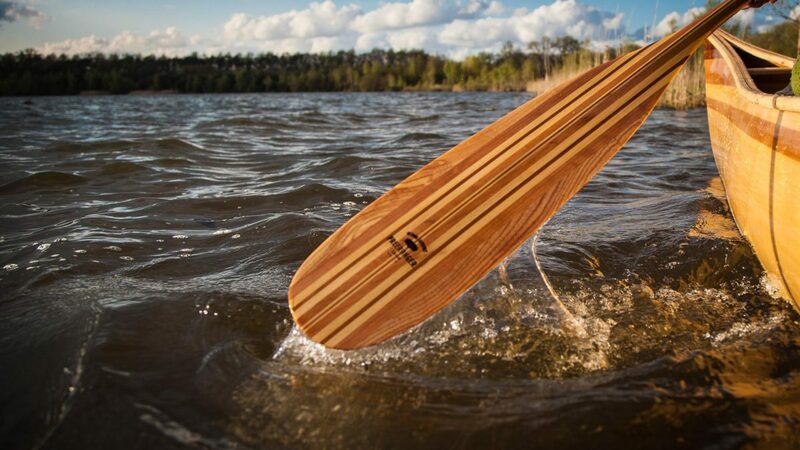 In addition to our canoes we handshape a line of lightweight and strong laminated wooden paddles. They lift the canoeing experience to an even higher level. The traditional, time-tested design, and the warm silky feel of the wood are unmatched. Our selection of wooden paddles will appeal to the recreational paddler but also to those who require strong and reliable paddles for trekkings and longer trips. 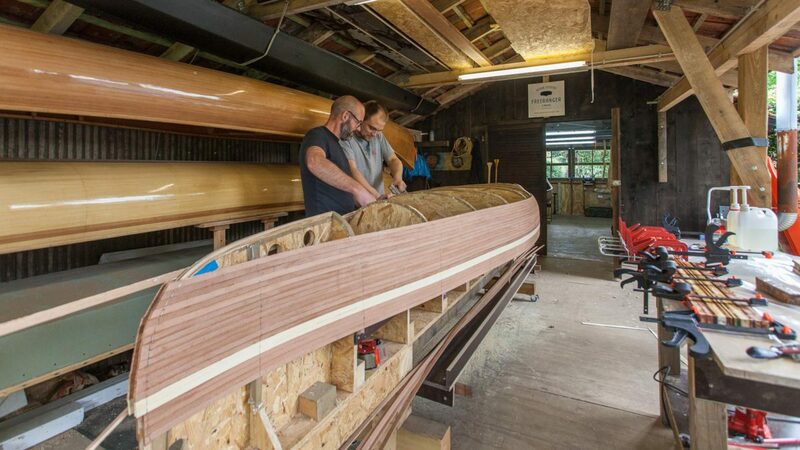 For canoeists who want to experience the joy of paddling an entirely self-built canoe we’re offering comprehensive canoe building workshops year round for individuals and groups. Our workshops are hands-on and require no special skills. Anyone can participate, young and old, woman or man. 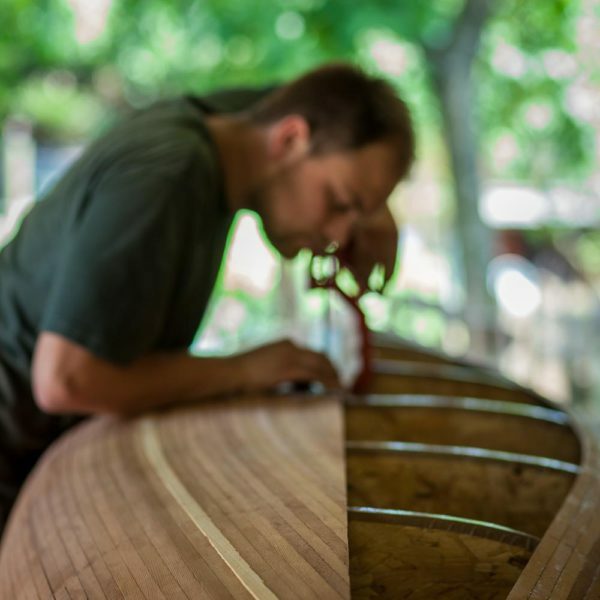 Although building a wooden canoe is a time-consuming enterprise, it is very rewarding. Nothing paddles better than your own hand made canoe! 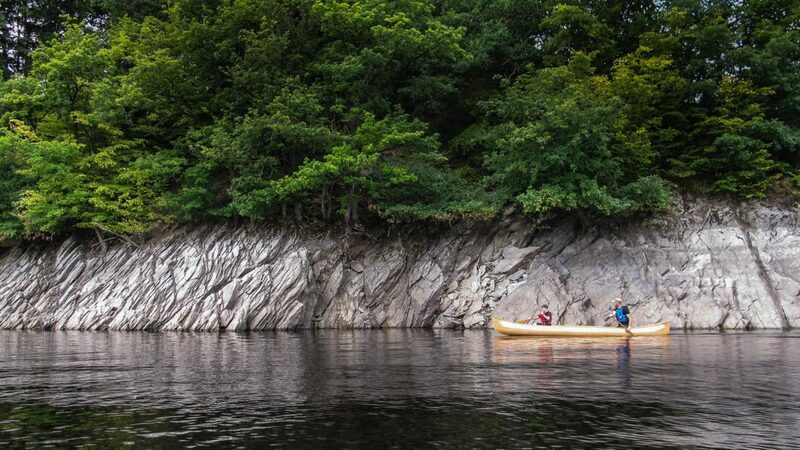 Our new Wooden Canoe Building Course is compacted in an intensive 10-day working period. If you want to learn to build a canoe in a condensed period because you don’t have the time to spread it out over several months, this is the solution for you. Our first participant was Joonhwa from Seoul. He is an artist manager and a wood turner in his spare time. 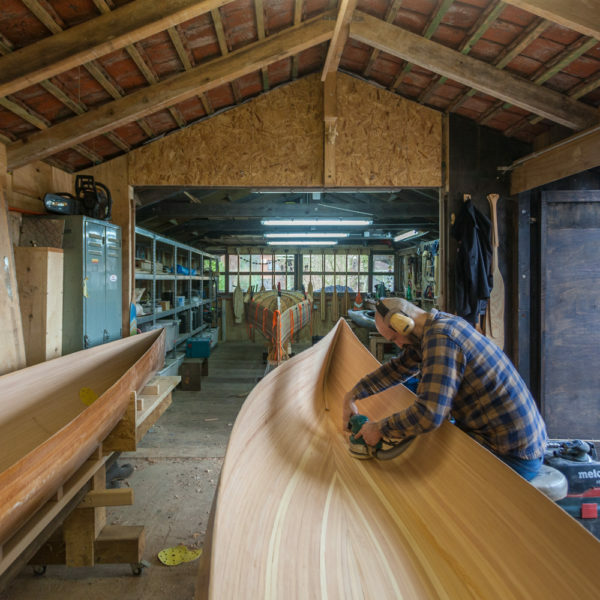 Because he wanted to build something bigger than bowls, plates and cutting boards, he came all the way to Belgium to build a canoe.